Home - Teixeira Cattle Co. 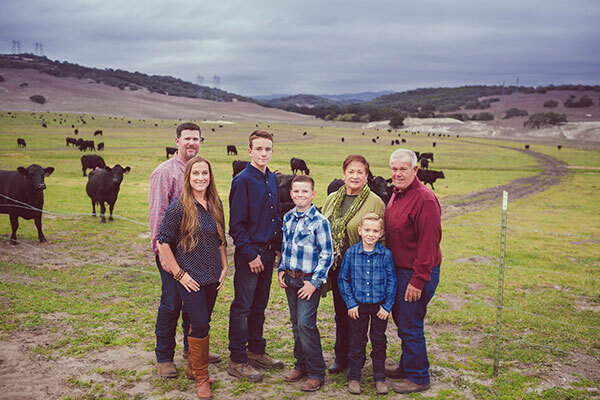 Welcome to Teixeira Cattle Co.
We live in one of the most beautiful places…the Central Coast of California. Our home ranch is nestled in a valley just over the hill from one of California’s beaches. Our cows have an incredible view! We also have a ranch located in Central Oregon, and it too is a little piece of Heaven. We have grown to love the snow-capped mountain views, and the skiing is not too bad! Integrity has always been a key word for Teixeira Cattle Co. The family cares about the animals and they care about you, our customers. We are always available for any questions. Year by year, we are working on improving the quality of our herd, striving to give you the finest possible show and breeding animals! We feel our most important asset is honesty. We will treat you with the same consideration we desire ourselves. Enjoy top quality Teixera Beef! We have several sales throughout the year!